I am over the moon because my alma mater Texas Tech made it to the final four today, for the first time ever in school history. They beat Gonzaga (number one in the western division). The game was a nail biter and I was afraid of a heartbreak, but my Red Raiders won! They will play in the semifinals next Saturday. Go Tech! What a great tribute to women and to his own mother, by Ryan Amador! This is such a beautiful story! It made me cry. A nurse adopted an infant girl in the hospital, who had received no visitors in five months. Like something out of Keanu Reeves' past films, Speed and Passengers! Keanu is actually the real hero he plays in movies. Hope this counts: Israel's Beresheet is on its way to the moon. Well, they got very close and sent this cool picture during the landing sequence. Good luck to India, which I believe has the next lunar mission. Cops throw a surprise birthday party for a 9 year old boy after no one shows up for his birthday. What a thoughtful thing to do, well done sir. This guy, Benjamin Shine, is an incredible artist! He creates portraits from tulle, and this amazing outdoor creation using ribbon for his own wedding! https://bestselfmedia.com/tulle-art-benjamin-shine/ Scroll to the bottom and click on amazing tulle portraits of Diana PoW, Elizabeth Taylor, Andy Warhol, plus his other commissioned creations for fashion installations, etc. Fabric portraiture is not new, but doing it in this extraordinary way using tulle, iron, and occasionally invisible thread, is out-of-the-box unique. Shine's outdoor wedding creation using (wire mesh) ribbon is astounding. 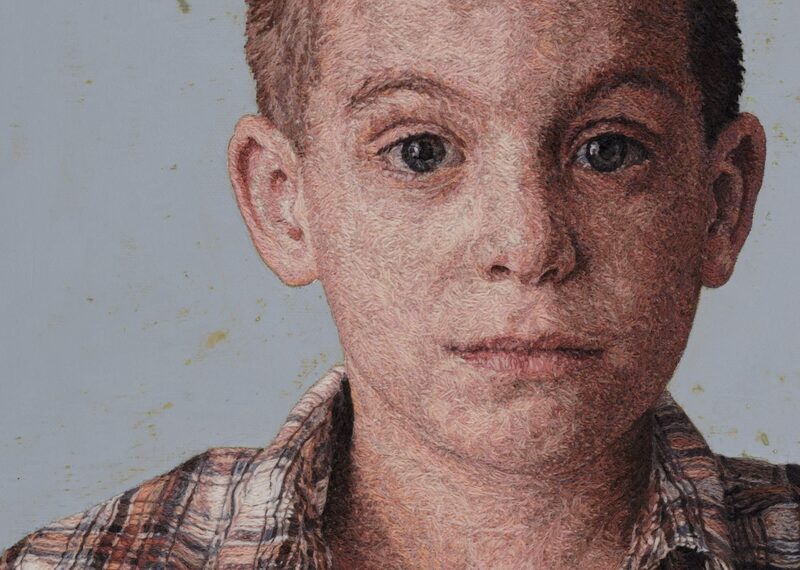 The use of needle and thread on open weave canvas (needlepoint) and woven canvas (cross-stitch) to create portraits is also definitely not new. 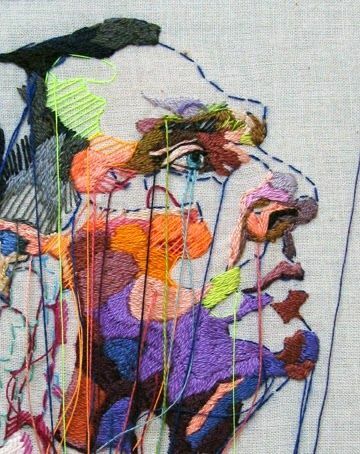 But using various pieces of fabric and thread to create quilted portraits is relatively recent. Plus, in the past 30 years or so, there has been a lot of experimentation in artistic creativity with embroidery and textiles generally. 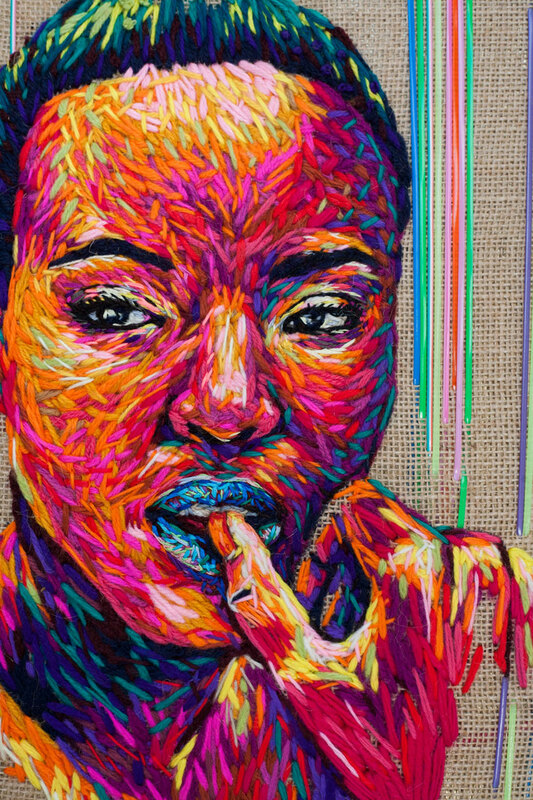 The first artist I know of who made portraits with fabric and thread, is Deirdre Scherer. She is credited with pioneering the method of using fabric and thread to paint portraits, first of the elderly. Her groundbreaking book in which she shared her art: Deirdre Scherer: Work in Fabric and Thread (1998), is simply amazing and revelatory. Actor Mark Hamill came out in defence of a YouTuber who was being bullied for his emotional reaction to the latest Star Wars movie trailer.